Nearly six months after his death, Walter Cronkite's voice is leaving the "CBS Evening News." The CBS News legend recorded a voiceover introducing current anchor Katie Couric when she started on the job in 2006. CBS kept Cronkite's voice on the broadcast even after he died in July. 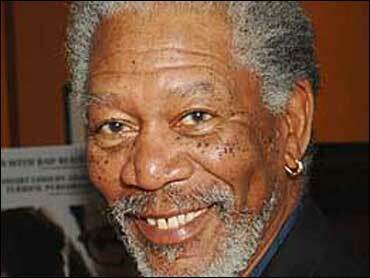 With a new year, CBS replaced Cronkite's voice Monday with that of actor Morgan Freeman. CBS News and Sports President Sean McManus says that Cronkite's voice was comforting but that it's time to move forward. Freeman offers CBS the flexibility to record different introductions for different programs.